This morning telemedicine provider Teladoc Health announced the launch of its new back pain treatment program, Teladoc Back Care. The service will let users access digital videos and exercise programs, which target lower back pain. In order to create the program, the telemedicine company teamed up with Telespine, a digital health company specifically focused on back health. This new program opens up online, personalized, exercise-based treatment plans and certified coach consultations to Teladoc members. In a statement the company said that during a virtual back pain pilot, more than 90 percent of its members had a 49 percent reduction of pain after engaging in the program. Back pain is one of the most common medical problems in the US, according to the National Institute of Arthritis and Musculoskeletal and Skin Diseases. Aging, poor physical fitness, weight, occupation and smoking can all be factors in back problems, according to the institute. There are several digital platforms working on musculoskeletal health tools. San Francisco-based Hinge Health makes a digital health platform for musculoskeletal conditions including chronic lower back pain. The startup has raked in a total of $36 million. Risalto Health is another platform designed to target musculoskeletal conditions. Last year Kiio, maker of an app-based back pain therapy program for health systems and employers, released a one-year pilot of its product. The pilot, which was done in Quartz Health Solutions health plan system, suggested that patients who were provided with and used the platform had fewer doctor’s visits, less medical spending and filled fewer opioid prescriptions than those who did not use the intervention. Although this is Teladoc’s first back pain program, it is one of the largest telemedicine companies in the US. In fact, Teladoc is currently the only US telemedicine company that is publicly traded. The company continues to grow with its eyes set on global. 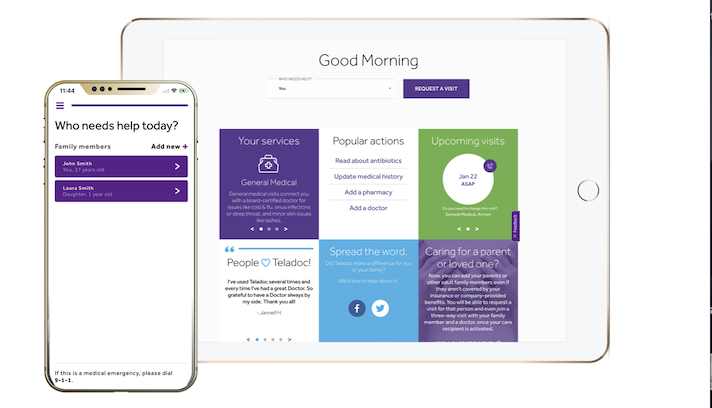 In September the company announced that it would be launching a virtual health service for worldwide members starting in 2019, which will be called Teladoc Global Care. The service is expected to be available in multiple languages. This news came after Teladoc acquired Boston-based Best Doctors and Advanced Medical — two companies with global ties. But not all news is good news for the telehealth company. In December Teladoc’s VP, COO and CFO Mark Hirschhorn resigned amidst allegations that he engaged in an inappropriate sexual relationship with a subordinate and took part in insider trading.